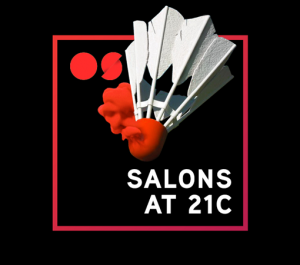 21c Salon: The legacy of Mary Lou Williams. In this week’s Open Spaces 21c Salon, curator Dan Cameron asks experts in local jazz history to explore the legacy of composer, arranger and pianist Mary Lou Williams. Her leadership in the Kansas City jazz scene of the 1930s was vital to creating the Kansas City sound. Guests include women’s jazz expert Carolyn Glenn Brewer, pianist Charles Williams and music historian Chuck Haddix. Join the talk at 5:30 p.m. Thursday, Oct. 18, at the 21c Museum Hotel. Lucite Plains, a sound and light performance project, will illuminate Subtropolis caves for seven performances. With Lucite Plains, music and video artists Barry Anderson and Ricky Allman surround audiences with video and light montages projected on all available surfaces. From within that visual space, they make a tapestry of live music and recorded sound. Lucite Plains will occupy the manmade cavern, Subtropolis, for seven Open Spaces performances, Friday, Oct. 19, at 6 and 7:30 p.m.; Saturday, Oct. 20, at 3, 5 and 7 p.m.; and Sunday, Oct. 21, at 2 and 4 p.m. Tickets for this Open Spaces Beyond the Village performance are $20 for any seat. Get yours at openspaceskc.com or on the Open Spaces app. Kansas City poet Jermaine Thompson leads a poetry workshop prompted by Open Spaces artworks. 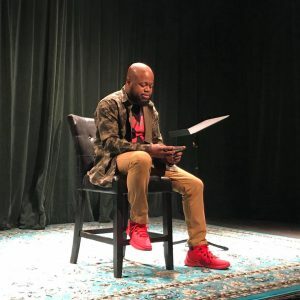 On Saturday afternoon, Oct. 20, from 1 to 5:30 p.m., poet Jermaine Thompson leads an exploration of the written and spoken word inspired by the Open Spaces artworks Dreams of Flight, by Randy Regier, and Never Records, by Ted Reiderer. Participants will observe, write and record their work at the Never Records vinyl record studio. Register for this art-based literary excursion at openspaceskc.com/education, or on the Performance Schedule of the Open Spaces app. Two Kansas City Jazz performances steeped in tradition: Will Matthews and Aryana Nemati on the Village Stage. Two classic KC Jazz performances will swing The Village on Saturday, Oct 20. Aryana Nemati holds degrees in Jazz Performance from UMKC and MU, and her woodwind career is leading her all over the current Kansas City jazz scene. Her performance begins at 3 p.m. Following Nemati’s show, hear the great Will Matthews, who has traveled the world as the guitarist for the Count Basie Orchestra since 1996. Matthews takes to the Open Spaces stage at 4:30 p.m.
SugEasy performs his dance revue, Respect My Elements. SugEasy is a Kansas City choreographer. Aside from inspiring a wide range of local Kansas Citians as an instructor in numerous dance studios, Sug also practices diverse dance languages and choreographs to illustrate their histories. His prodigious technical ability activates Sug’s new show, Respect My Elements, which reveals the cultures that brought us hip-hop dance. See SugEasy on Saturday, Oct. 20, at 2 p.m.
Sydney Pener Gravity Casting Workshops continue with two more free sessions for teens. For weeks, Open Spaces metal artist Sydney Pener has invited KC teens to the Roanoke Warehouse Studio on Saturdays to cast molten metal and create body art. Pener offers two more shows, not to be missed! People 13 to 18 can register for the free Open Spaces workshops at the Events Schedule on the Open Spaces app or at openspaceskc.com. Workshops are on Saturdays at 1:30 p.m.
BRR Investigators offer two more tours of Blue River Road’s decommissioned stretch. Blue River Road Investigators is a cross-disciplinary artwork created by artists Brent Jackson and Trey Hock for Open Spaces 2018. It highlights the beauty and complexity of an undervalued space, the 10-mile stretch of Blue River Road in Kansas City, Missouri. The work includes a central kiosk, a speaker series and weekly walking tours of the road’s blocked portion. Catch one of their tours on Saturdays at 4 p.m. Learn more at openspaceskc.com or on the Open Spaces app. AY creates music and social movement with his audience in the Swope Park Village. AY (pronounced as two letters) leads a social music movement combining vocalizing and dance in crowd-driven shows. His singing, dancing energy speaks straight to his audience and then makes them part of the art. 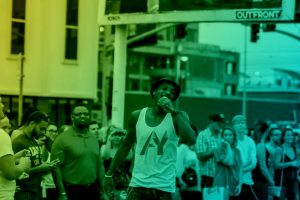 AY’s Battery Tour will bring down the boundary of concert and dance party in the Open Spaces Village in Swope Park on Sunday, Oct. 21 at 2 p.m.
Vocalist Aaron Alexander fuses rapping to the jazz legacy around him, in the Open Spaces Village. Kansas City rapper and hip-hop artist Aaron Alexander uses a lot of jazz in his thoughtful, socially insightful music. He will carry us again with his totally personal fusion of musical genres Sunday, Oct. 21, at 4 p.m. in the Open Spaces Village. Kids Corner Workshops from 3 to 4 p.m. in the Village. Get the kids out-of-doors and into Open Spaces on Sundays through October! Every Sunday afternoon the Swope Park Village hosts a different all-ages arts workshop, for free. This week, the Mesner Puppet Theater offers puppet making at 3 p.m. Dancers Matty Davis and Ben Gould perform Carriage in the caves of Subtropolis. Dancers Matty Davis and Ben Gould explore the environments that tell our bodies how to move. They reveal the ways that physical boundaries can open us to empathy, memory and healing. Compelled to study how physical environments affect movement, Davis has performed in places as diverse as Death Valley and the tops of tractor-trailers. This collaboration with Ben Gould grows in part from Gould’s experience living with Tourette syndrome. For Open Spaces, the duo offers two performances of Carriage, their nationally touring, site-responsive performance, in a limestone cave at Subtropolis on Saturday, Oct. 20, at 7:30 p.m. Tickets for this Open Spaces Beyond the Village performance are $20 for any seat. Get yours at openspaceskc.com or on the Open Spaces app.